The drug is the dried root or leaf of Pieris PoZita W. W. Smith et J. E. Jeff. 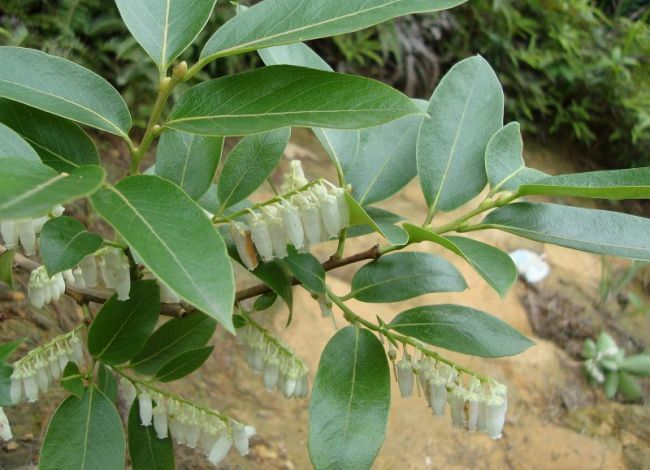 (Family Ericaceae), Growing in or near forests, in scrubs along ravines, and distributed in Anhui, Zhejiang, Jiangxi and Fujian of China. Stem contains asebotoxin, etc. Leaf contains asebotoxin, asebotin, aseboquercitrin, taraxerol acebopurpurin. Flowers contain t3-amyrin, oleanelin acid, usolis acid, β-sitosterol, etc. Leaf is used as antipyretic, anti-diarrheal and parasiticide, externally for the treatment of scabies.